PCB has revealed the PSL 4 Trophy in a ceremony held at Dubai Cricket Stadium. 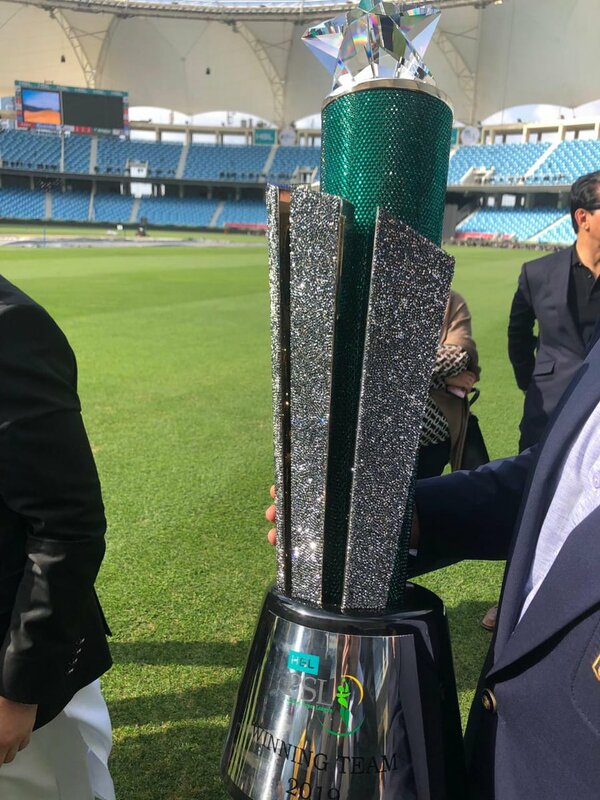 The PSL 2019 trophy is a three cone structure prize top of which, is a diamond Star. The towers of the trophy shine with some glittering material and it is a perfect prize for PSL 2019 winning team. 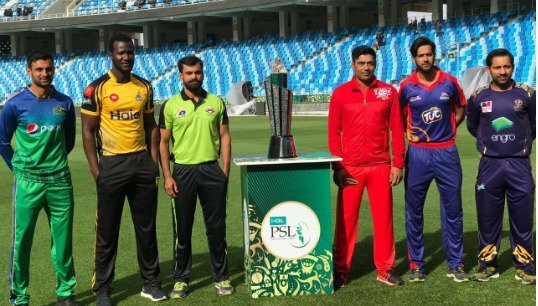 The PSL 4 trophy revealing ceremony was held in Dubai today in which all the six teams captains took part. After the ceremony a post event press conference was also organized in which PCB chairman and respective captains spoke to the media. They wished best hopes for their teams and said it is going to be an exciting cricket event. 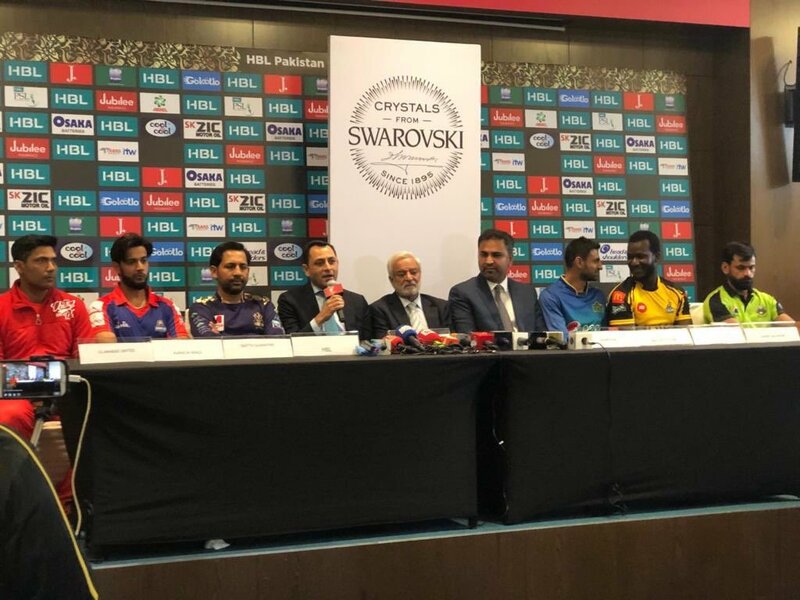 After the ceremony, All the captains posed with the PSL 2019 trophy with the PCB Chairman Ehsan Mani. The team owners were too snapped with the PSL 4 winning trophy. The best bowler trophy was too unveils in this ceremony and its a green hard ball siting on the tower of a glass. 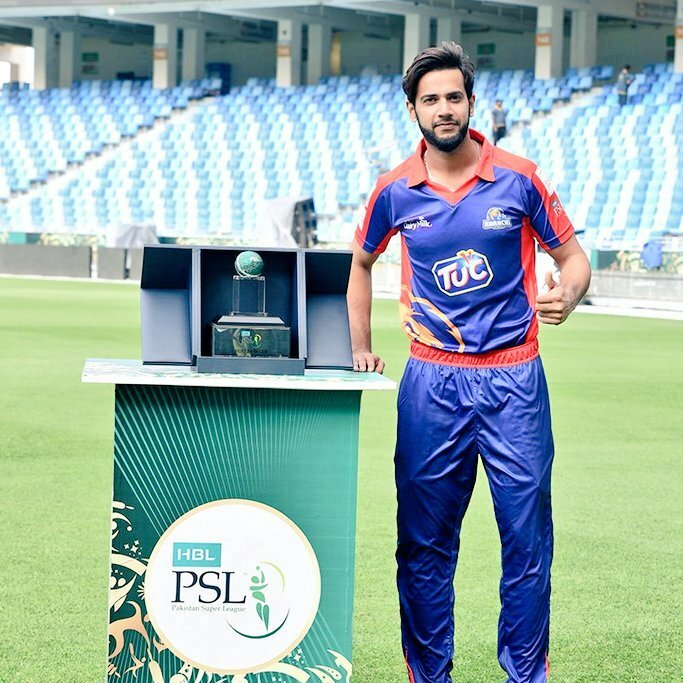 Imad Waseem posed with the best bowler prize in this pic.